Va-ROOM! Just Plain Silly’s Headed To The Merchantville Car Show! For 14 years, Merchantville, NJ has put on an amazing car show. It’s HUGE! The show features hundreds of classic cars, hot rods, bikes… and ONE BALLOON GUY! 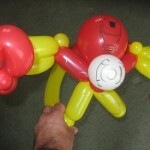 Come see me at the 2012 Merchantville Car Show, Saturday, July 21 from 2 to 8 p.m. 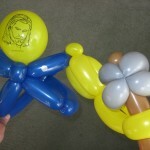 The weather is going to be really nice; and I’ll be there twisting balloons! Look for me by the Main Stage and the Gazebo on Centre Street. 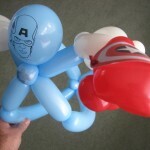 These brand new Avenger balloons add the “super” to any hero party! 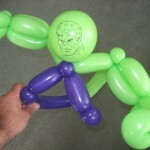 A must for the comic book or movie fan! From all of us at Just Plain Silly, we wish you and yours a very Happy Fourth of July! Click the link below for a special holiday video!